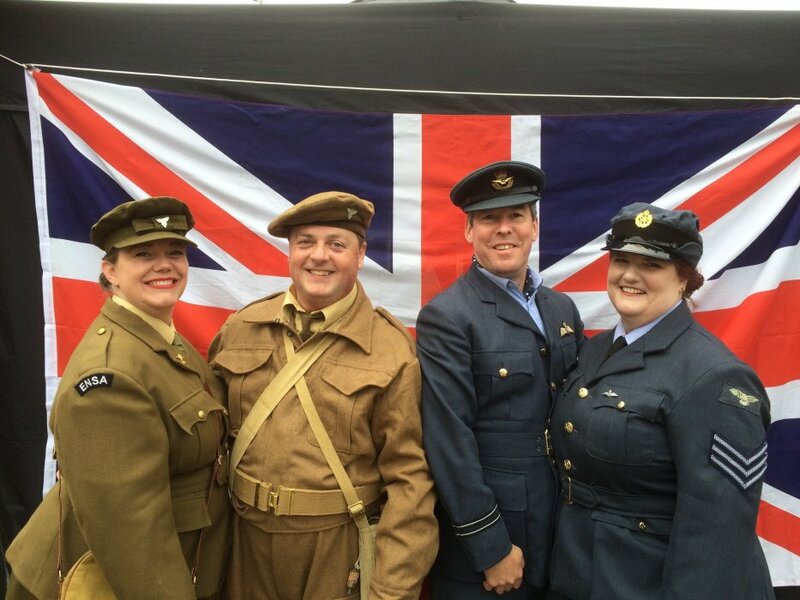 The Forties Four are Britain's premier wartime quartet performing all your vintage favourites in four part harmony. 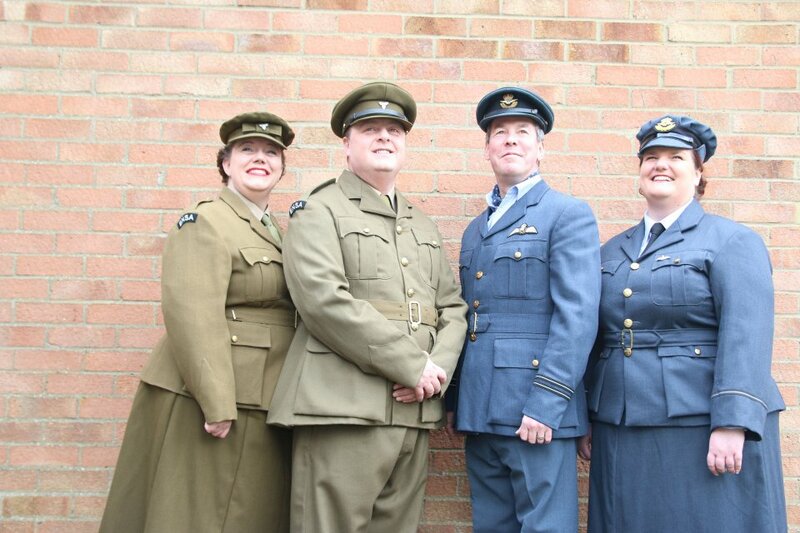 They specialise in the 1940's with songs guaranteed to bring back memories and take you on a trip to past. For those of you not old enough to remember, you are guaranteed to enjoy the timeless songs of this nostalgic era and relish in the close vocal harmonies and great humour of the Forties Four - who will leave you wanting more! 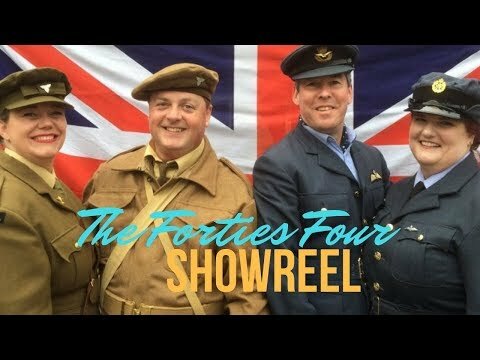 The Forties Four are available for any type of function and 1940's nostalgia performances along with wartime or similarly themed events. 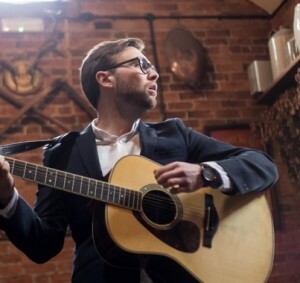 They can be used as a walk around act with no need for instruments or backing tracks. 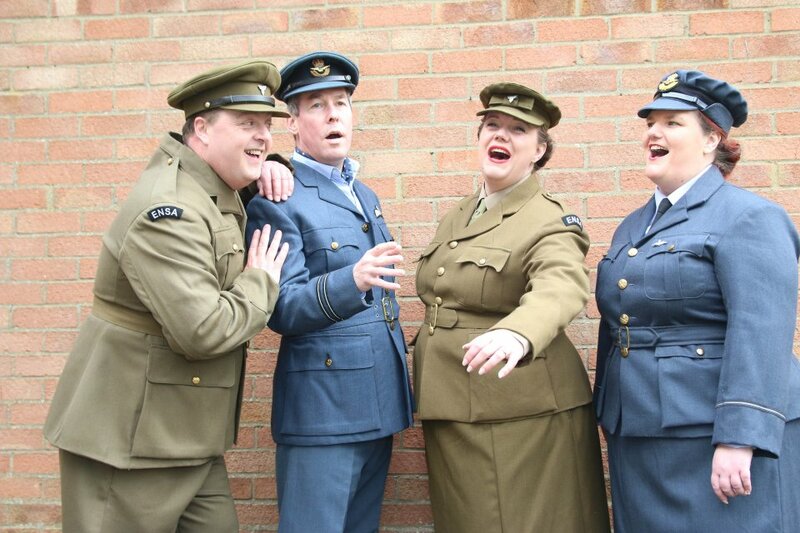 If you would prefer a stage show, then they can provide classic wartime songs sung in different styles which includes a mix of "A Cappella" in the barbershop style and 1930s/40s standards with backing tracks. 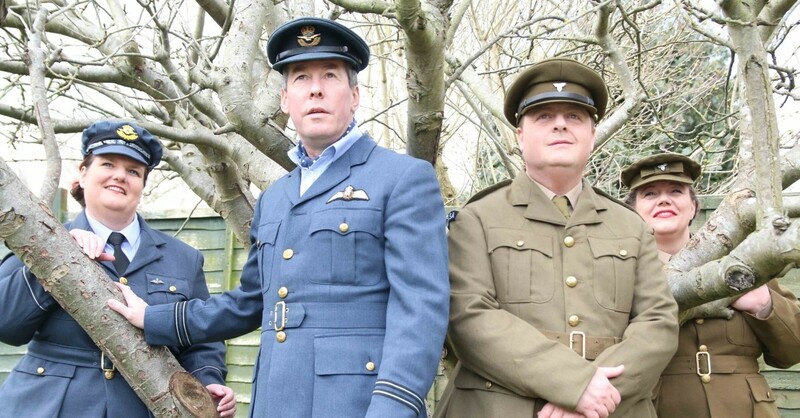 They can be dressed in civilian clothing or in full WWII Army and RAF uniforms. 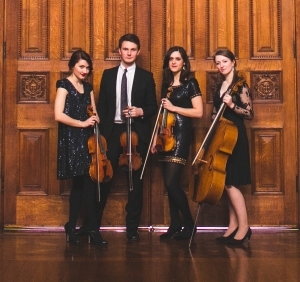 This quartet provide audiences with an authentic experience of the music of the period. The Forties Four are also available as a duo to perform a two person stage show with Backing Tracks. ...and lots more including many traditional barbershop standards. 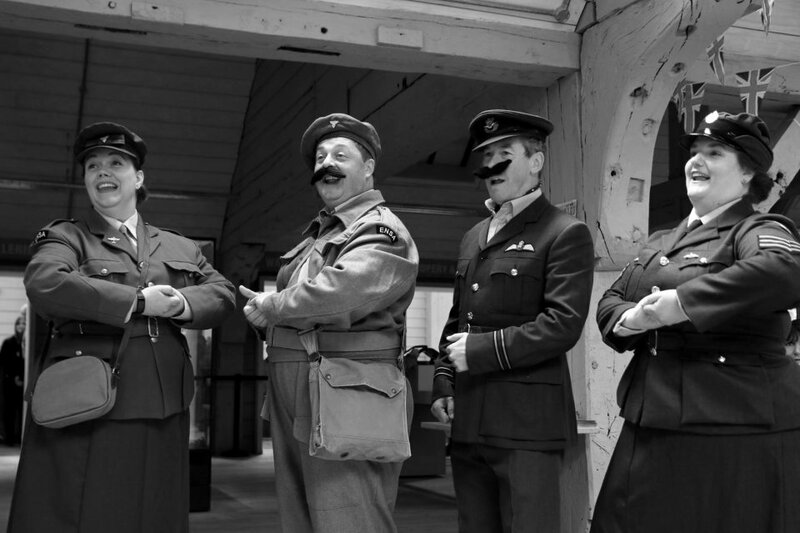 The Forties Four Barbershop quartet are a vocal harmony group who travel all over the U.K. and their repertoire consists of a variety of songs from the 1930s/1940's and the quartet dress in authentic 1940s attire if required. One thing is guaranteed, whatever they sing, they always enjoy it; and that means you'll enjoy it too. 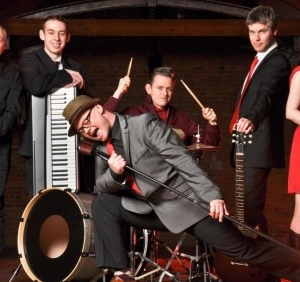 From ballads to comedy numbers, from patriotic to authentic. 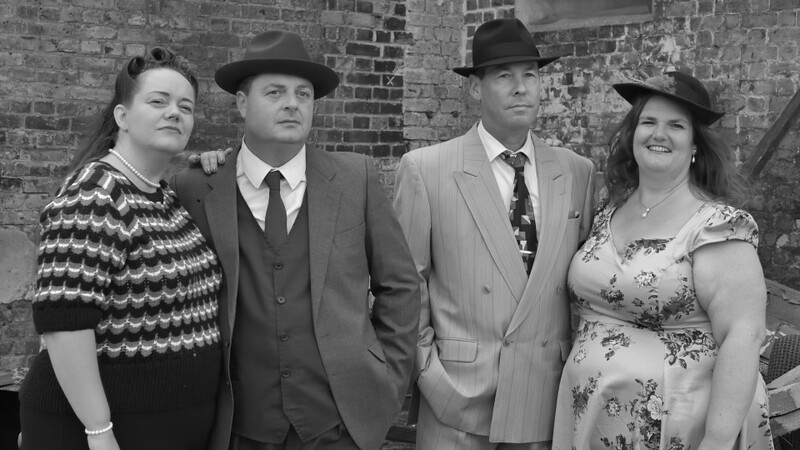 The Forties Four will have a song for everyone and look forward to entertaining you soon. 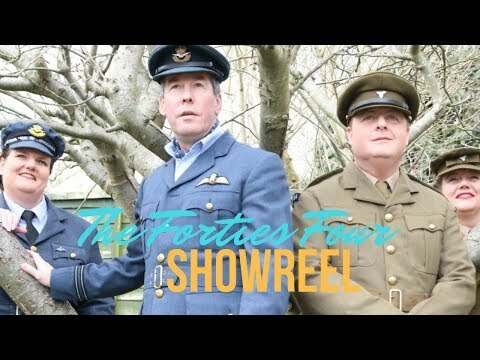 The Forties Four perform regularly at Air Shows, Motor Racing Events, Private Parties, Weddings, Steam Rallies, County Shows, 1940s & Wartime weekends, Museums, Corporate and public events and promotions. 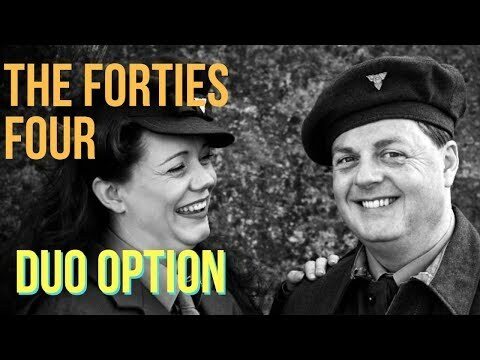 Where budget or space may be an issue, the Forties Four can be booked as the Forties Duo! Amazing night for Patrick's birthday - celebrated in some style with The Forties Four! You were totally faultless and brilliant. I will never forget Patrick's face of pure delight, and the laughter around the table. Are you able to learn requests and at what extra charge? 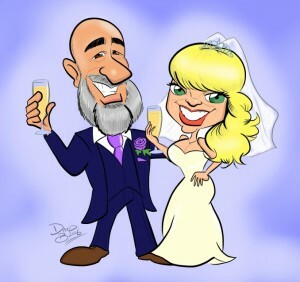 We can re-work a song to incorporate slightly different words or to incorporate someones name, a company name or a product and this starts from £10 dependent on rehearsal times required. We may be able to learn a specific song if the arrangement is available. 8 weeks notice is required as we need time to purchase the song (Usually from USA) and then to learn it. Alternatively, we can get a song arranged in the barbershop style and learn it. For costs, please speak to your Warble agent. Are you available for photographs after the show? Of course! the Forties Four will be more than happy to oblige. We can provide all their own PA equipment for most size events. 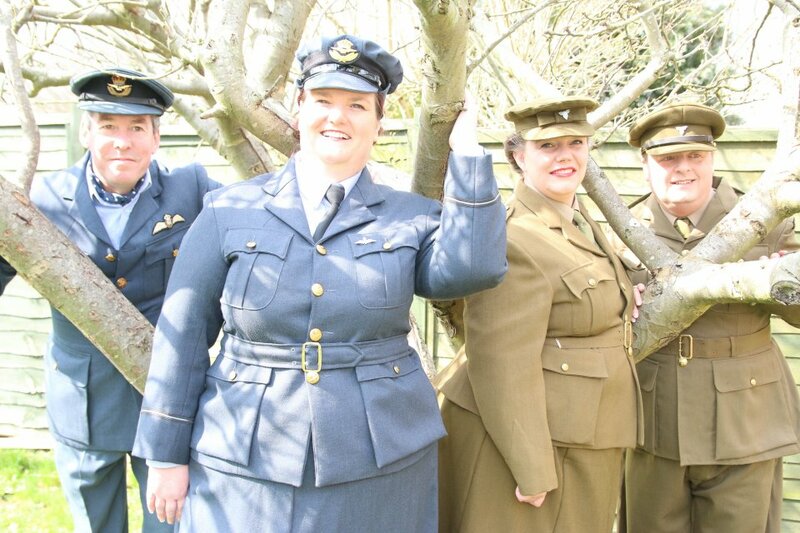 Perfect for Walkabout, Air Shows, Motor Racing Events, Private Parties, Weddings, Steam Rallies, County Shows, 1940s & Wartime weekends, Museums, Corporate and public events and promotions. Can you perform as a duo? Absolutely! The Forties Four are also available as a duo to perform a two person stage show with Backing Tracks - please see pictures and video. For a Walk Around act, The Forties Four are flexible and perform throughout the day and can work out timings with you. 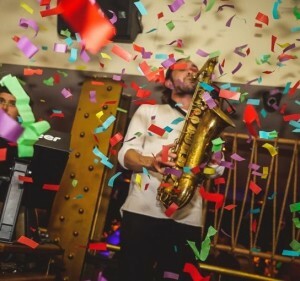 For a stage act, this is usually 2 x 45 minute or 3 x 30 minute live sets (in a 2 hour period) for a stage show which includes a mix of Backing Tracks and A Cappella numbers. Songs in A Cappella are sung by the whole quartet combined with a mixture of solo and duo performances with backing tracks. For a stage act, this is usually 2 x 45 minute or 3 x 30 minute live sets (in a 2 hour period) which includes a Backing Tracks. 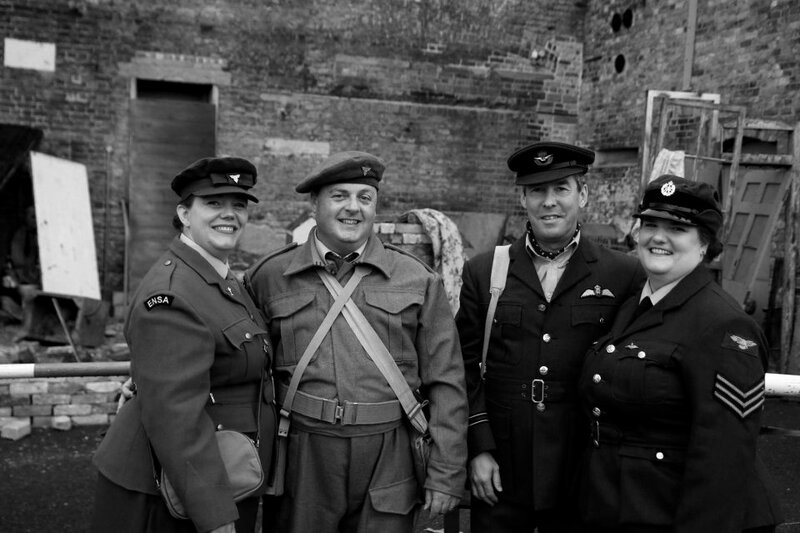 Customers who have enquired for The Forties Four have also been interested in the following Vintage and Wartime acts. For more information or further options, please call 0845 643 9384.